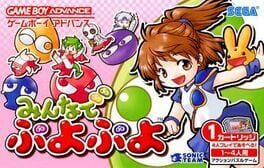 Puyo Pop for the Game Boy Advance was the first game in the series to be developed by Sonic Team. It combines Puyo Puyo 2's mechanics with an all-new story mode. 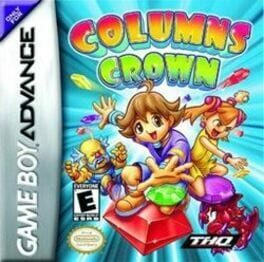 Princess Dazzle has searched all over for the missing Magic Gems that fill in the Columns Crown. You must help her recover them from a band of Forest Thieves by beating every puzzle to unlock the hidden Gems! Can you collect them all and complete the crown? 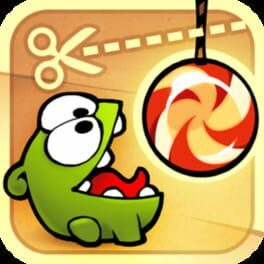 Frantic multi-player action full of devastating special moves. Collect Magic Gems to unleash spectacular elemental attacks. New Survival, Versus, and Flash Columns modes. 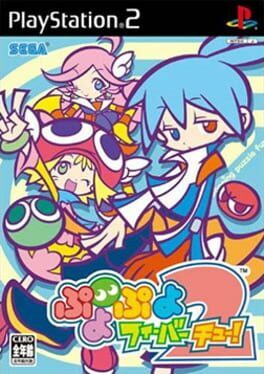 Puyo Puyo is a puzzle game in which the player matches four or more "Puyo" of the same color together. This game is the precursor to an identically-titled arcade release. 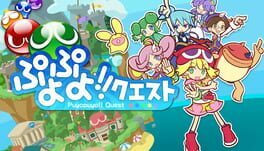 Puyo Puyo is the first entry of Compile's Puyo Puyo series. It was released on the MSX and Famicom Disk System on October 25, 1991; the FDS version was published by Tokuma Shoten as part of their "Famimaga Disk" line of games. The FDS version would later be released on a Famicom cart in 1993. 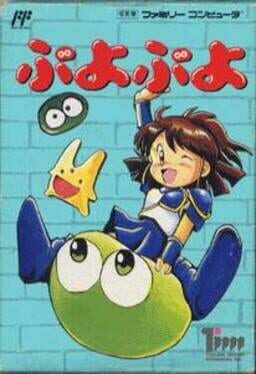 Puyo Puyo would be succeeded by a much more popular arcade game of the same name. Puyo Puyo contains three modes: Endless, Mission, and Verses. In Endless Mode, players match Puyo until the top of their well is filled. If the player chooses, either a giant 2x2 green Puyo or Carbucle will periodically help the player clear space on their board. Mission mode gives the player several challenges to complete, such as clearing a set amount of Puyo or clearing all Puyo of a certain color. Verses mode allows players to battle each other. 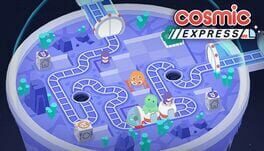 A mobile and arcade spinoff of the Puyo Puyo series is billed as a "Puzzle RPG." Updated version of the classic Puyo Puyo puzzle game featuring the all-new "fever" mode. 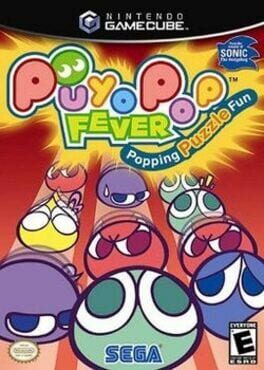 Better known in the west under the titles Puyo Pop, Kirby's Avalanche and Dr. Robotnik's Mean Bean Machine, Puyo Pop Fever still follows the classic bubble-popping format (align four or more "puyos" to make them pop), but Sega also delivers completely overhauled visuals with a more hand-drawn look, an expanded roster of characters, and a new "Fever Mode" that cranks up the action to frantic degrees once players fill a "fever gauge" on their screen. Although a four-player mode didn't make the cut, two players can go head to head and compete for points or survival. A crime hidden object game for Facebook. 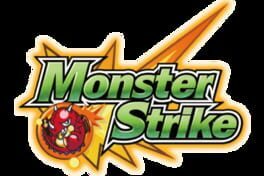 Monster Strike (モンスターストライク Monsutā Sutoraiku) is a physics game with elements of RPGs, strategy games and cooperative multiplayer. 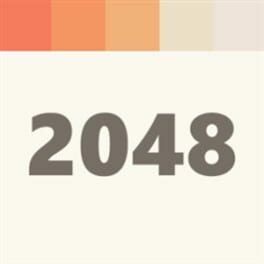 2048 is a single-player puzzle game created in March 2014 by 19-year-old Italian web developer Gabriele Cirulli, in which the objective is to slide numbered tiles on a grid to combine them and create a tile with the number 2048. It is a type of sliding block puzzle, and is very similar to the Threes! app released a month earlier. 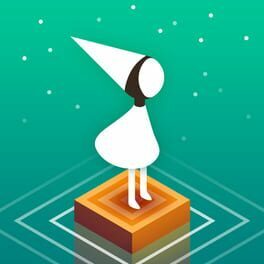 In Monument Valley, the player leads the player-character princess Ida through mazes of optical illusions and impossible objects, which are referred to as "sacred geometry" in-game, as she journeys to be forgiven for something. The game is presented in isometric view, and the player interacts with the environment to find hidden passages as Ida progresses to the map's exit. Each of the ten levels has a different central mechanic. Interactions include moving platforms and pillar animals, and creating bridges. The player is indirectly cued through the game by design elements like color, and directly cued by crow people, who block Ida's path. Critics compared the game's visual style to a vibrant M. C. Escher drawing and Echochrome. The game includes a camera mode where the player can roam the level to compose screenshots. It includes filters à la Instagram. 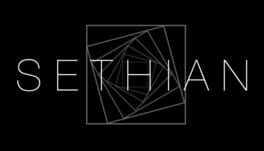 "Sethian is a sci-fi puzzle game in which you master a fictitious language. An archaeologist in the distant future, you venture to the far-flung planet of Sethian, investigating the mysterious disappearance of the people there centuries ago. An abandoned computer may have the answers you seek, but it only operates in the lost native language. Master their language, unravel their mysteries, and challenge their philosophy."